Make your workspace as seamless as possible. The Kogan Triple Monitor Mount is an essential accessory for any office, allowing you to clear space on your desk and create a larger area on which to work. 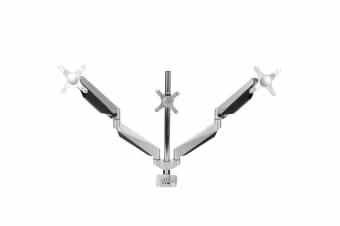 The monitor mount features gas spring technology which ensures smooth adjustment and a secure stationary position. 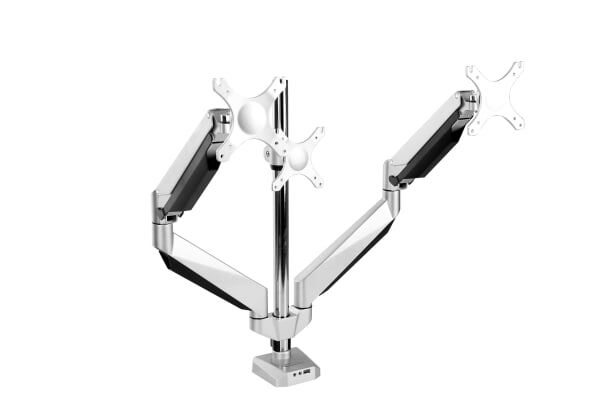 Secure your cables to the arms of the mount, keeping them out of sight and tidy to minimise the risk of tangling or pulling. 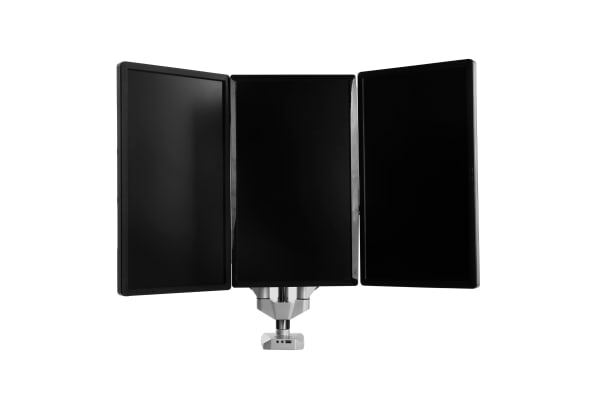 The Kogan Triple Monitor Mount also has a USB port and both microphone and headphone jacks located in the base, meaning easy access for a more efficient workspace.